Naturalist, bohemian, academic, pagan revivalist, and writer, Margaret St. Clair (1911-1995) is largely forgotten today. 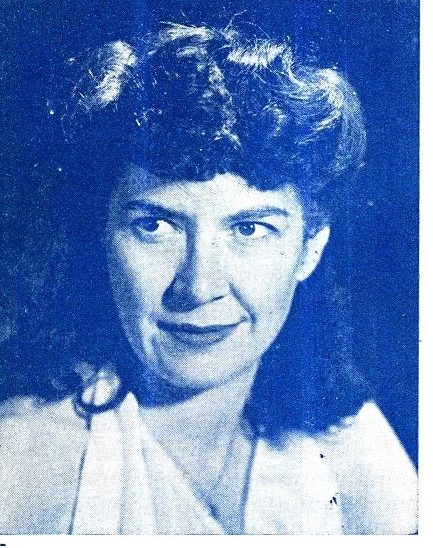 She began publishing her fiction in the late 1940’s in the declining pulp science fiction market and continued to be featured in the same magazines through the 50’s and early 60’s. Around 1956 she published her first sf novel, The Green Queen, and would go onto write another seven novels until 1973. None of her novels or short story collections (three) are available in print. 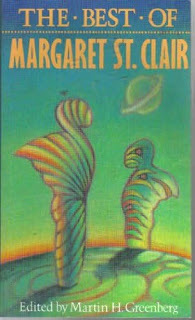 The Best of Margaret St. Clair was issued in 1985 by a small press in Chicago. The most complete account of her life I’ve encountered is this brief. As I read through these stories, I was struck by how many I’d read in other collections while growing up. “Child of the Void” was featured in Tomorrow’s Children (1967) and “The Man Who Sold Rope to the Gnoles” in Alfred Hitchock’s Monster Museum (1965). “Brenda”, first published in Weird Tales, was adapted for an episode of Rod Serling’s Night Gallery (not that good, but worth seeing if you’ve read the story). There’s also a hilarious episode of the old Thriller TV show, “The Amazing Mrs. Hawk” about a modern Circe adapted from one of her stories. Every story in this collection is pure gold. Most have the snap, biting ending which turns sf conventions of the 50’s on their head. Most of them have aged very well. “The Man Who Sold Rope to the Gnoles” works as a wicked satire of modern sales techniques and of Lord Dunsany fantasy stories. “Short in the Chest” has a robotic psychologist giving disastrous advice to the military. My own favorite in this collection, “The New Ritual”, works as a woman’s interest story, a pastoral, and fantasy fiction. The truly sad issue is the lack of any interest in her writing, outside a few fans. Here’s a woman who wrote countless stories and novels over a twenty year span, then ceased her output. Why? Writer’s block? Health issues? It would be good to know. I’m republishing a series of reviews I did in my older blog back in late 2010 to early 2011 when I was actively seeking out information on Margaret St. Clair. I wasn’t able to discover too much, but I have found a few other fans of her writing who are actively trying to preserve her memory. Her stores are too important to languish in the pages of crumbling science fantasy pulps and a major examination of her life and legacy is long over-due. I realize this is a little different direction for this reading log, but it’s time to take a break from spy novel and movies for a bit.